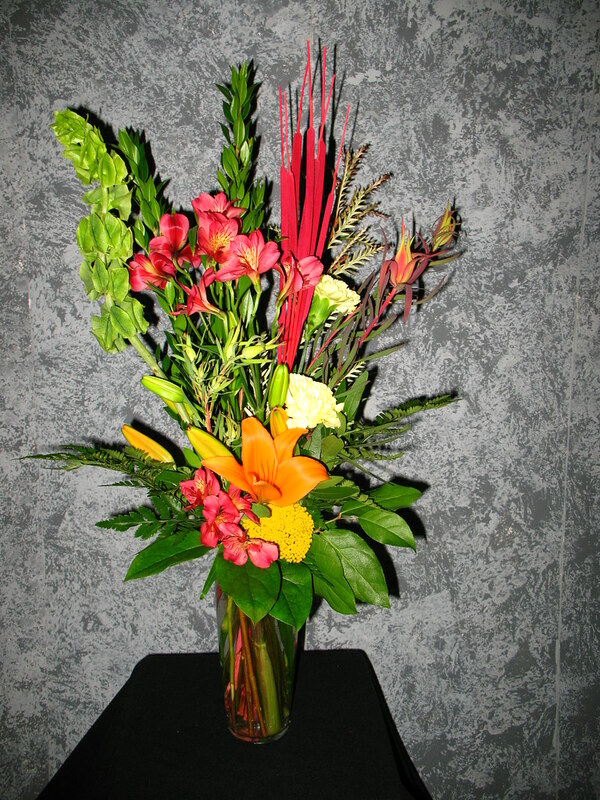 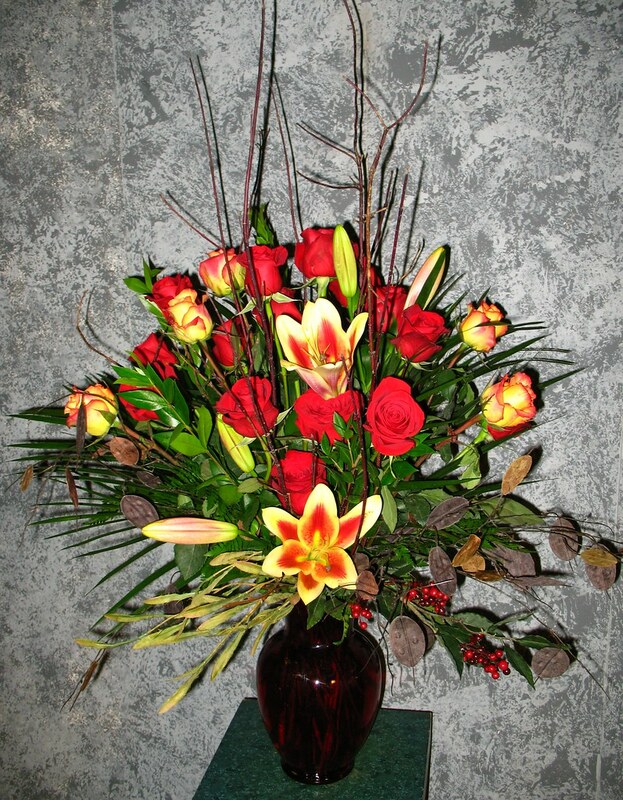 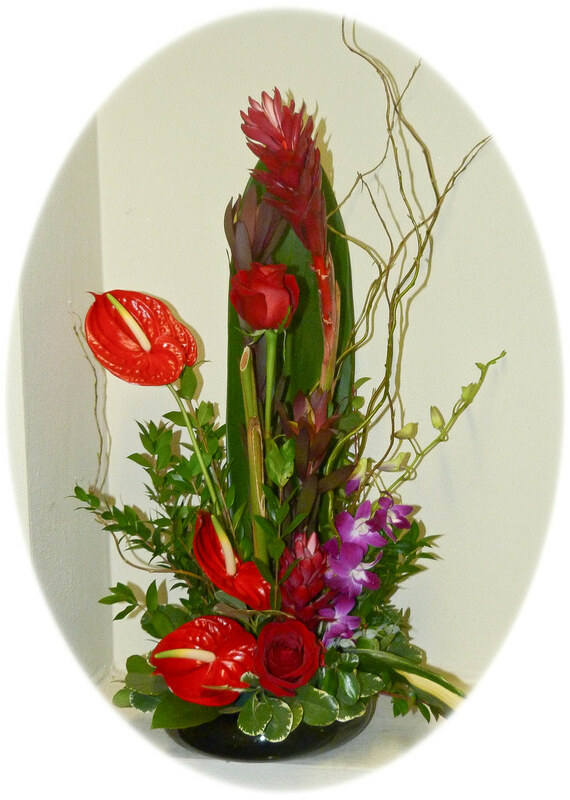 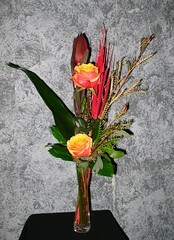 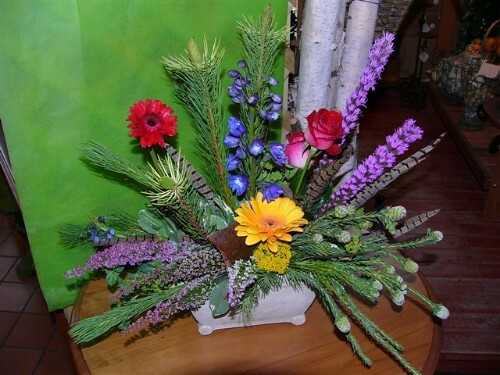 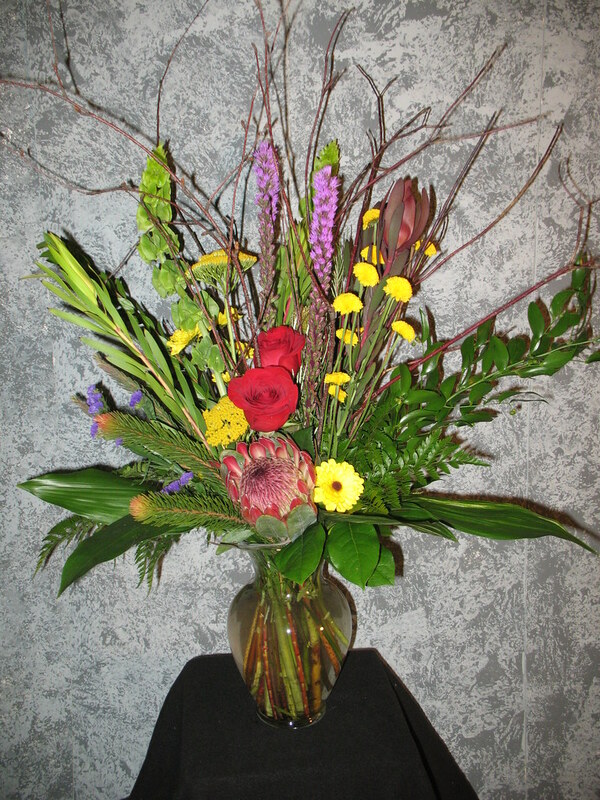 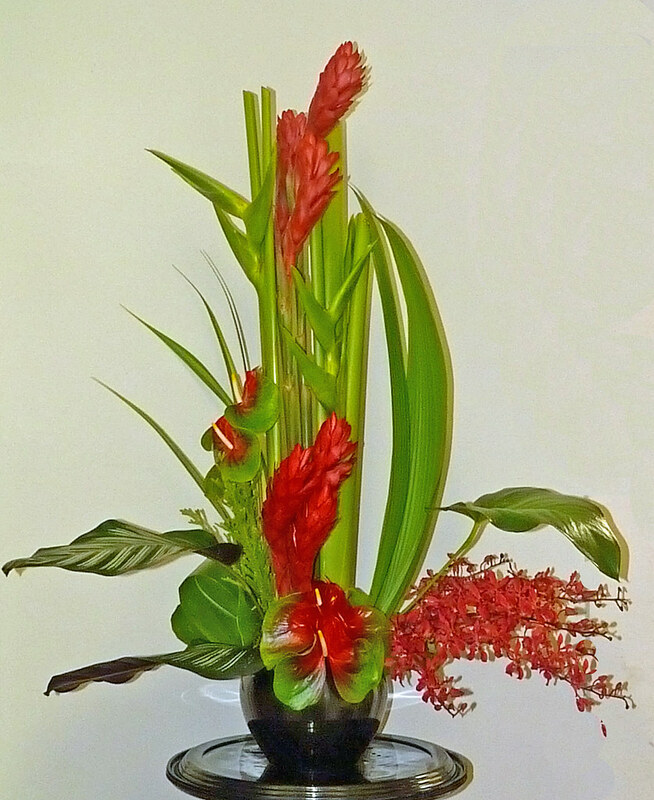 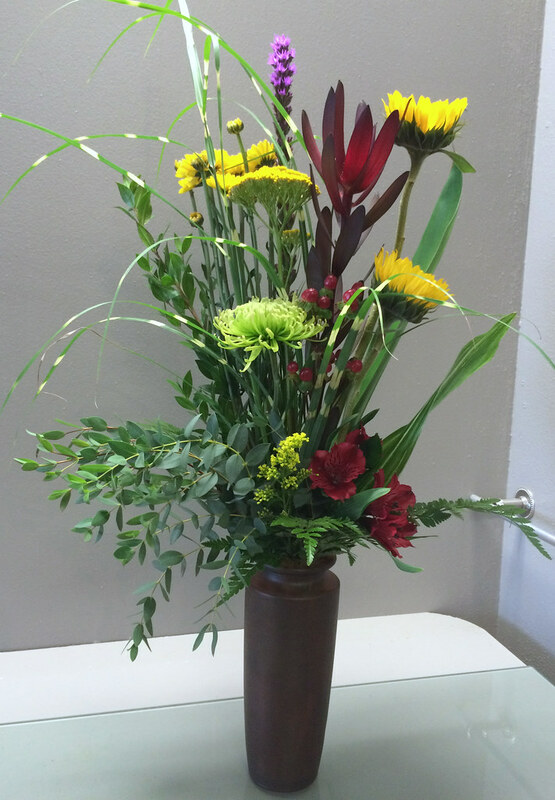 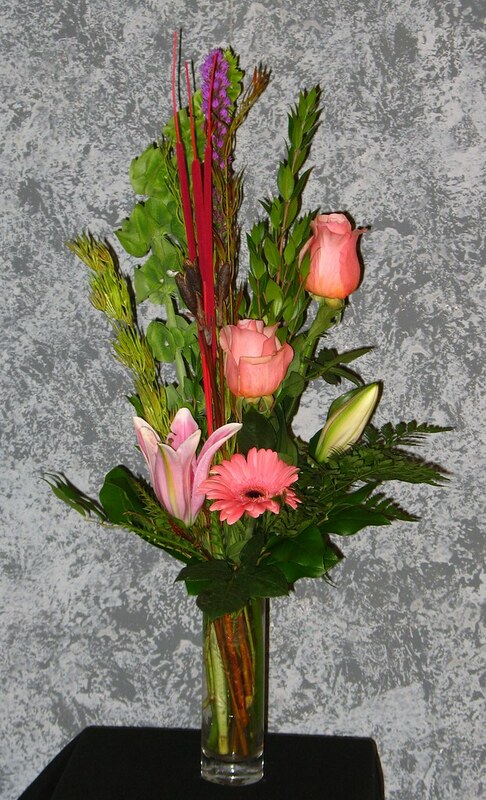 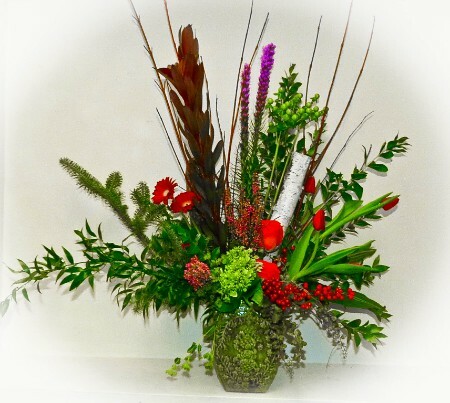 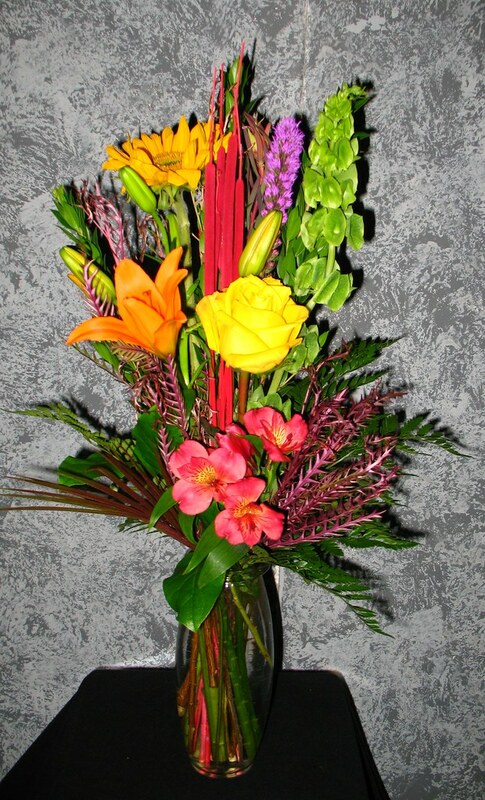 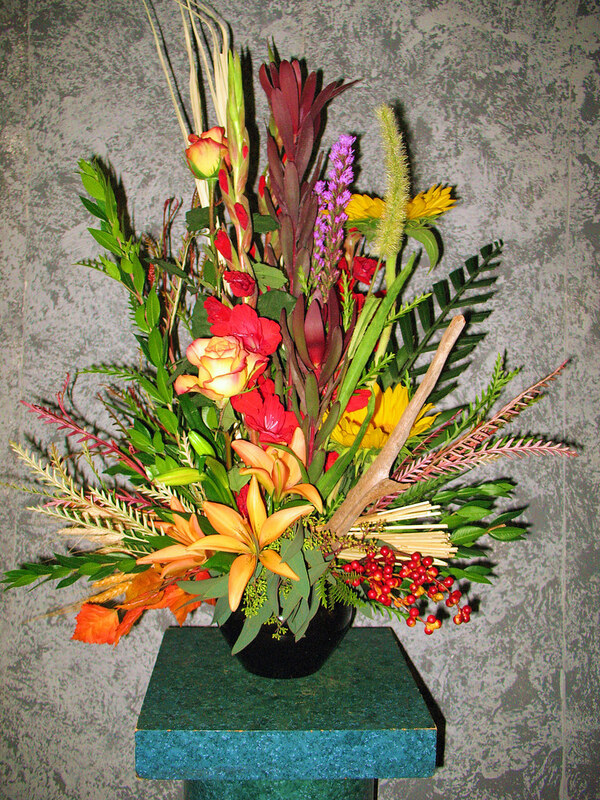 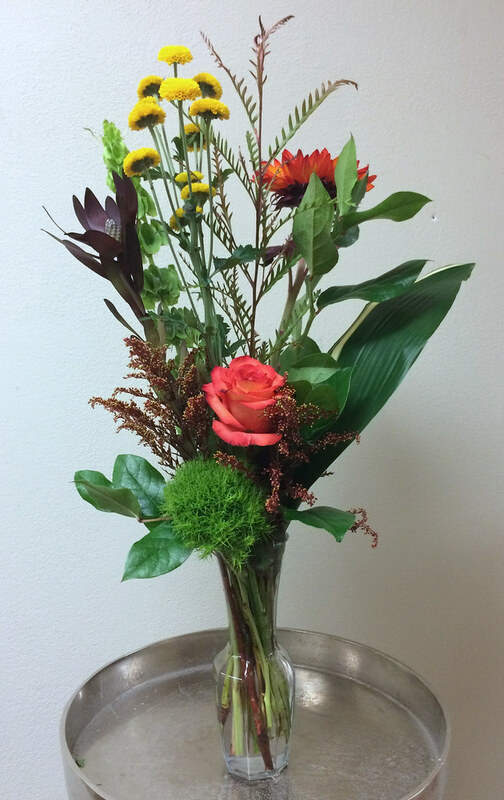 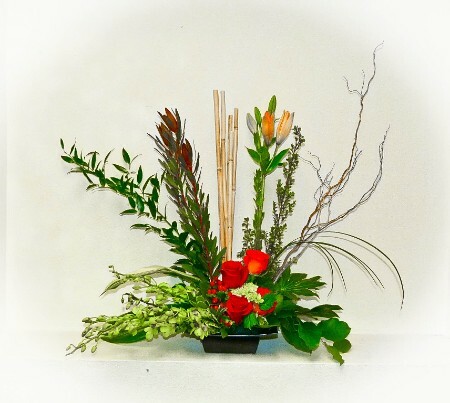 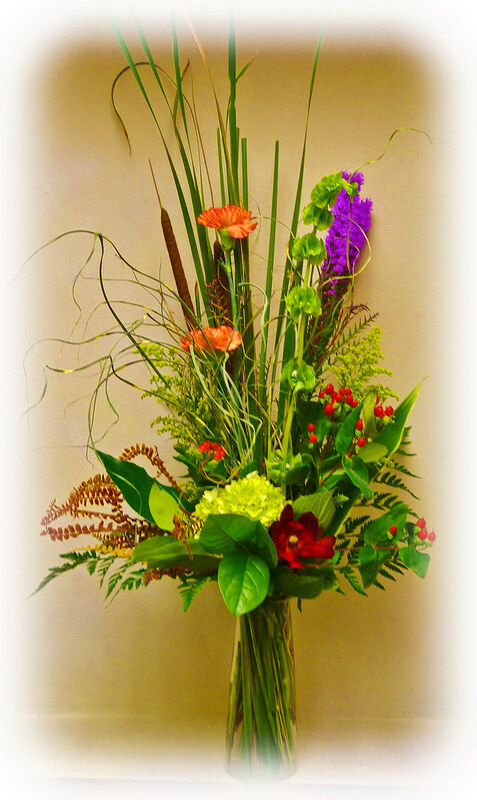 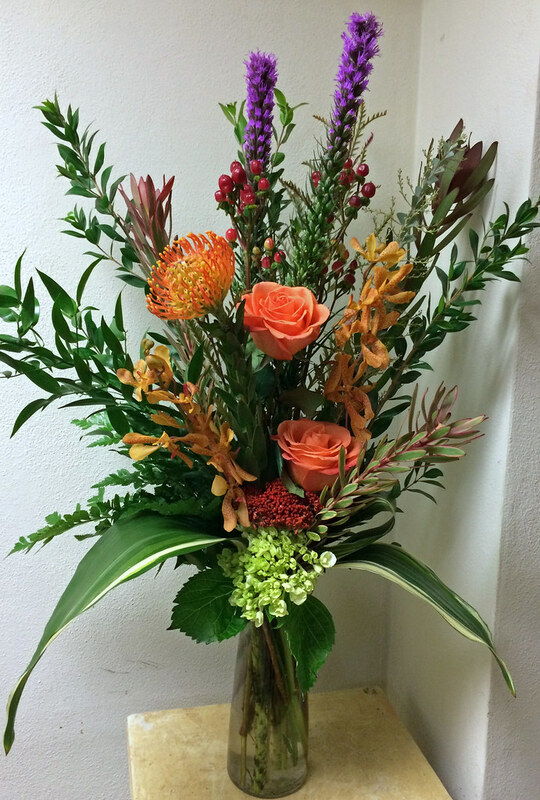 #10ED $35 2 Roses vased with a variety of foliage, leucadendron, and red cattails. 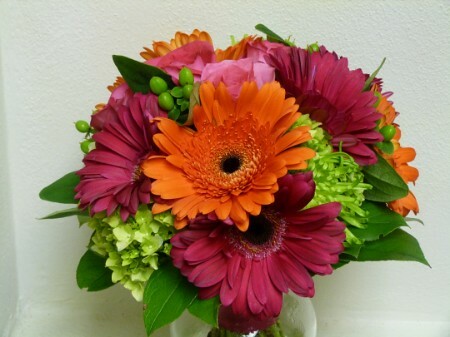 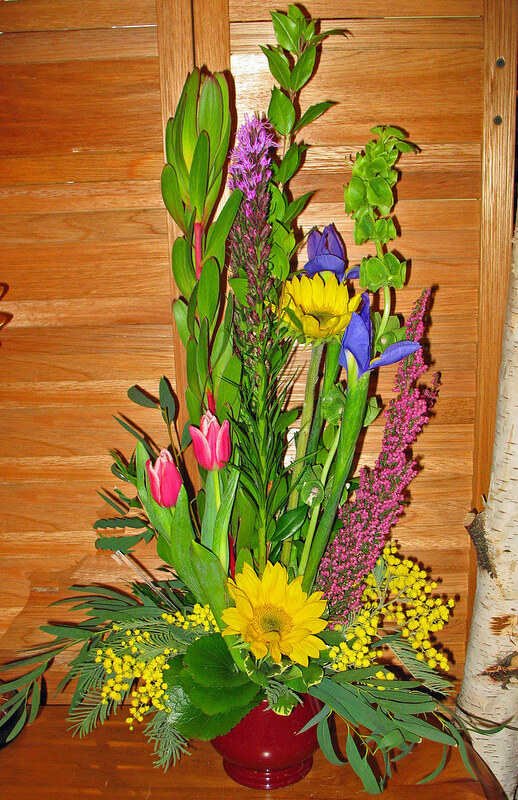 #14ED $50 Colorful Vased Arrangement. 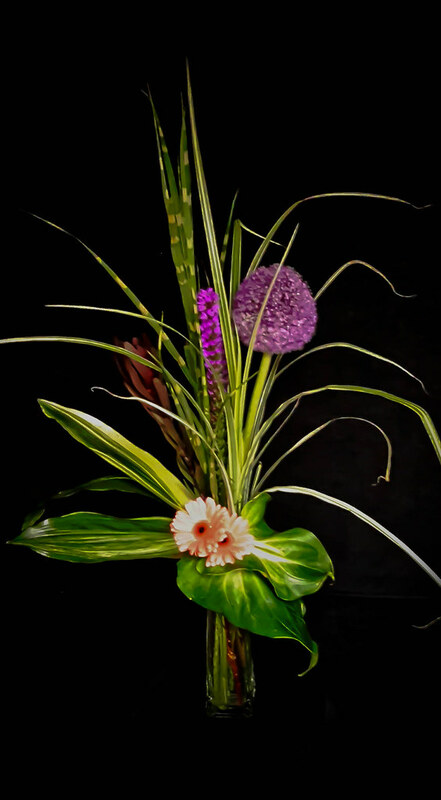 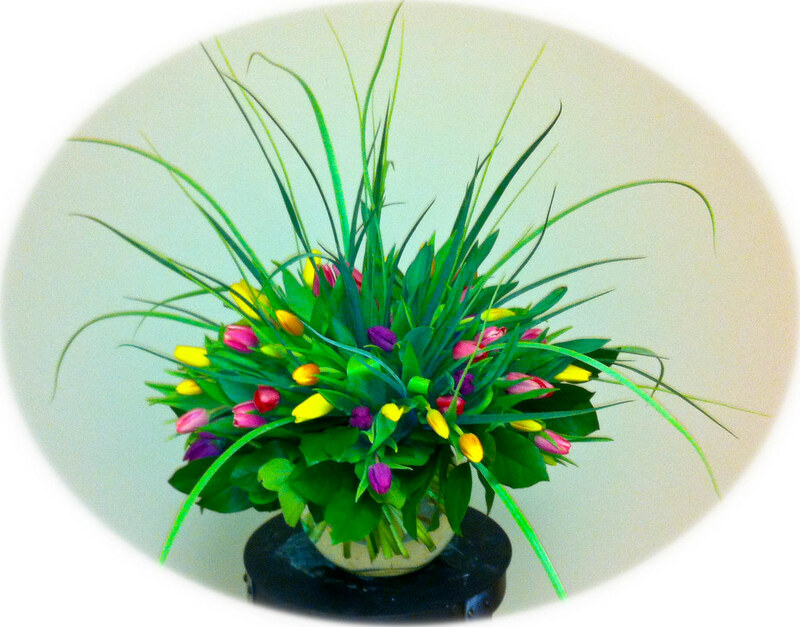 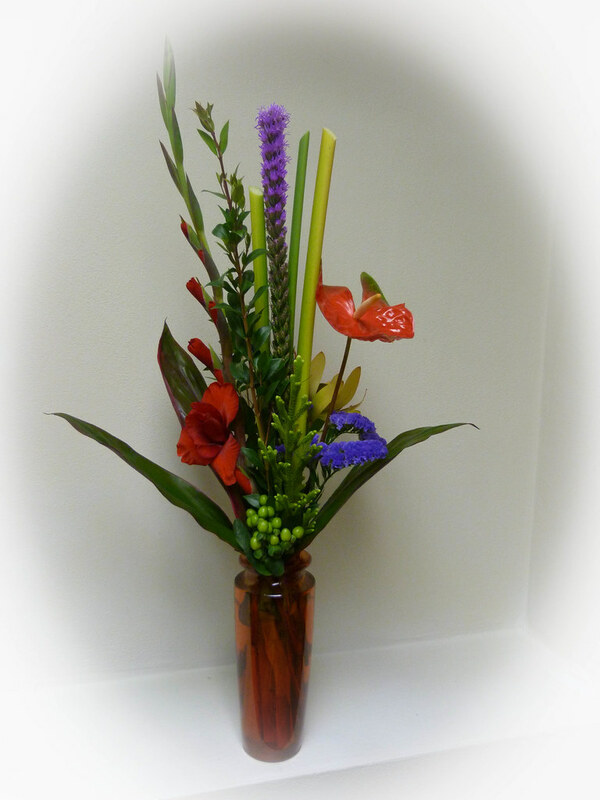 #54ED $50 Stylized Vased Arrangement. 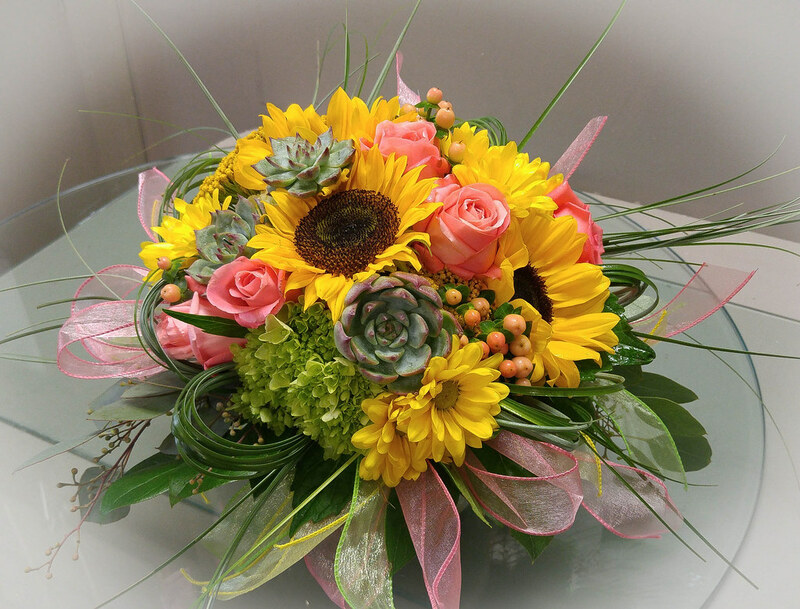 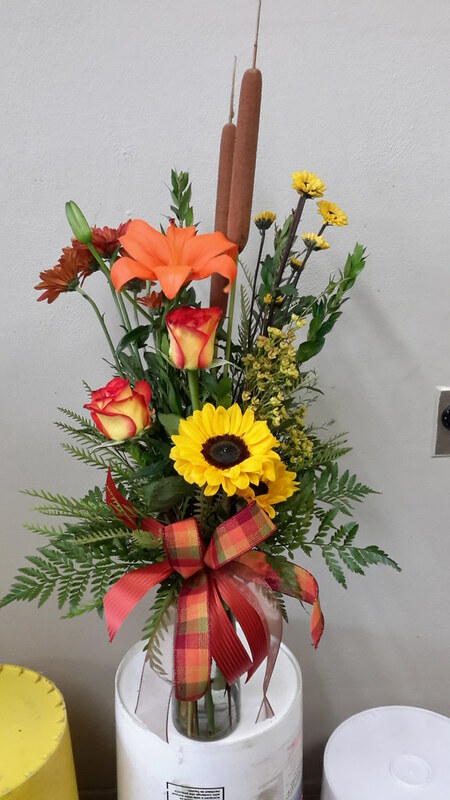 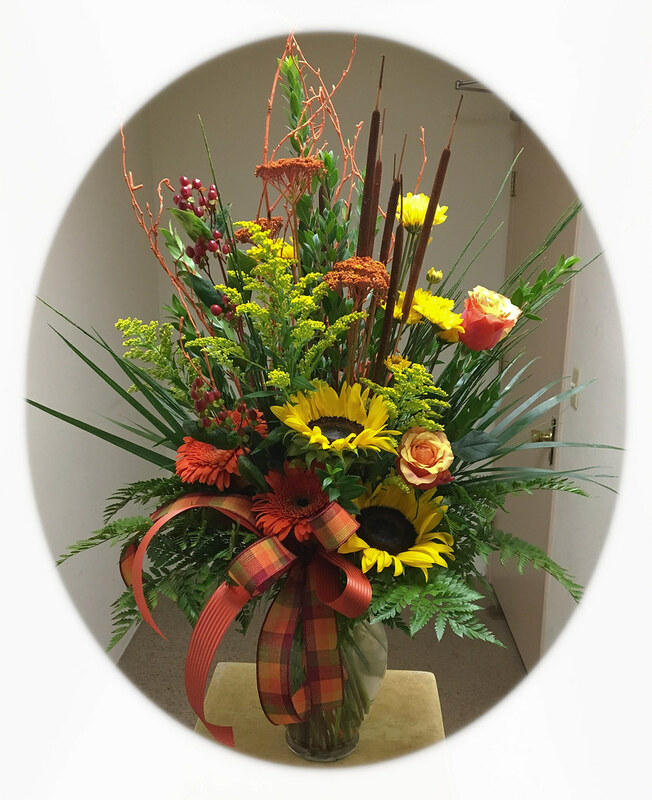 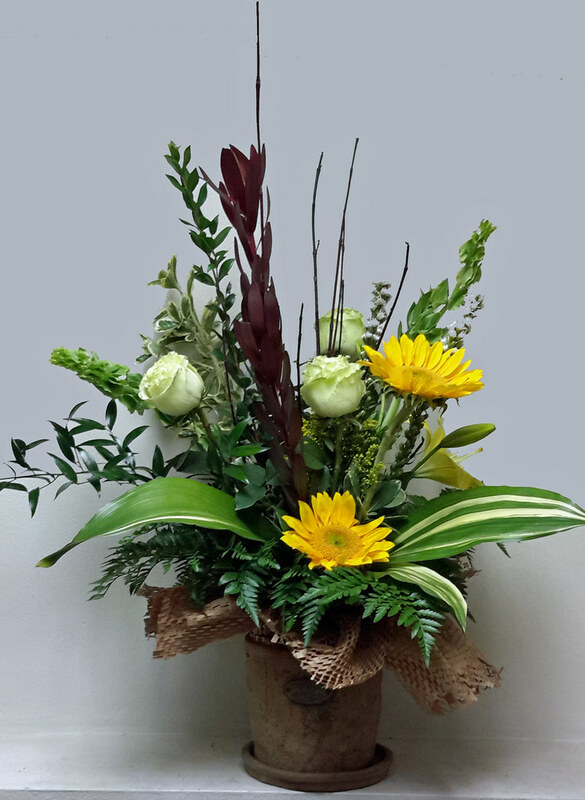 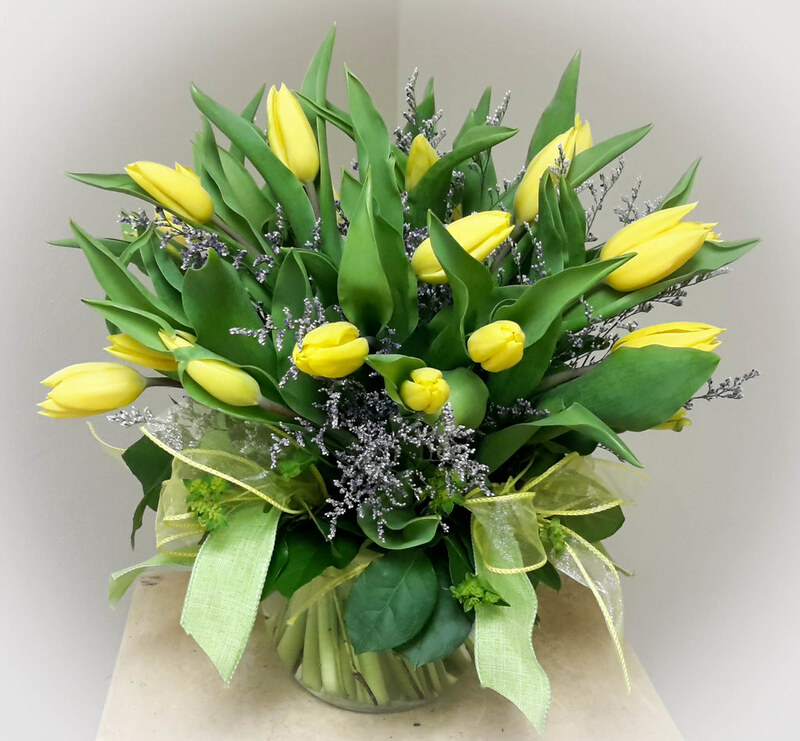 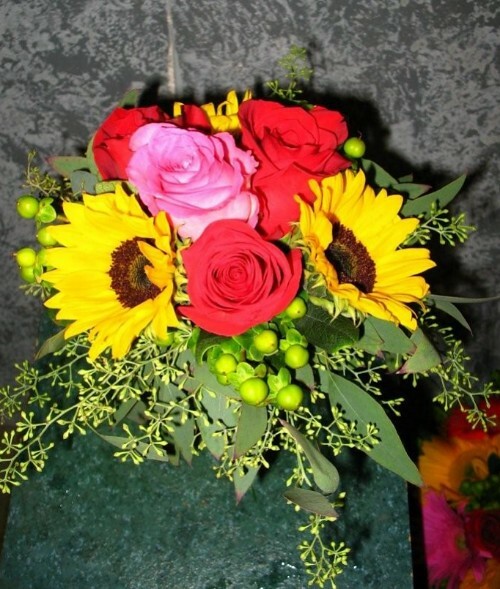 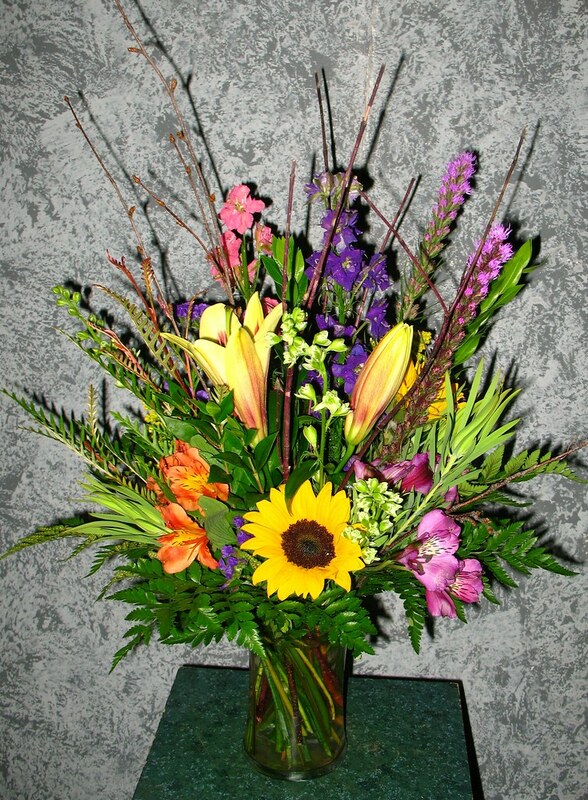 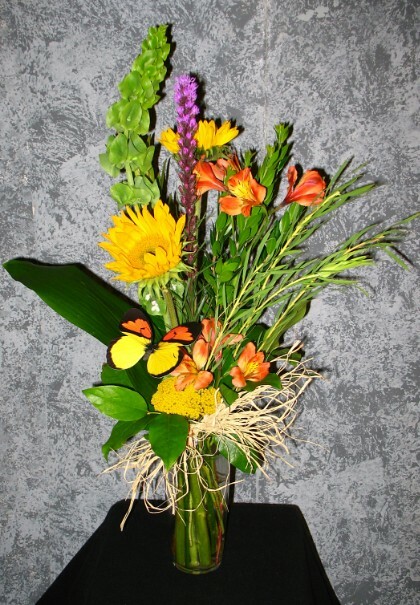 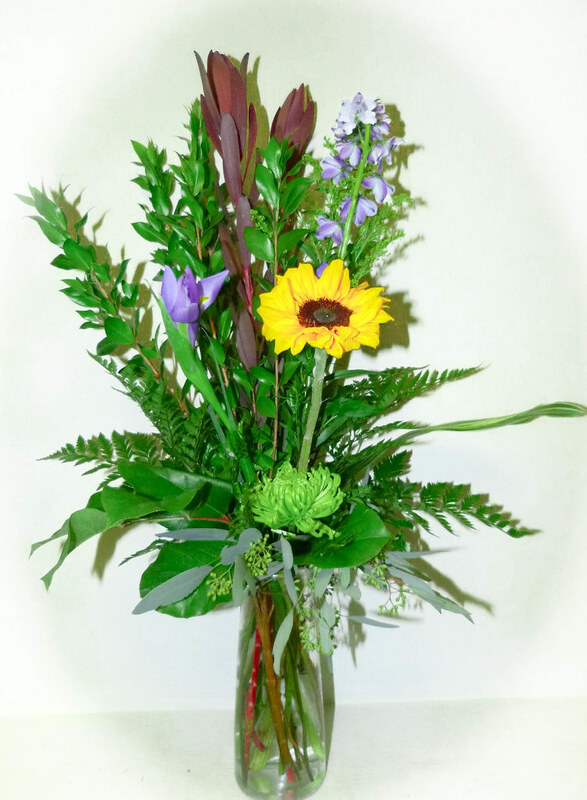 #52ED $45 A vibrant bouquet of yellow centered sunflowers, alstroemeria lilies, liatris, yarrow, bells of Ireland, are accented with a lovely variety of foliage, raffia, and a colorful butterfly. 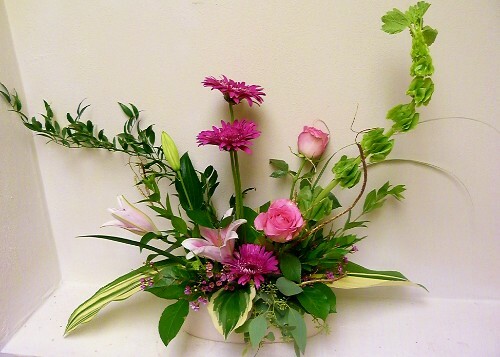 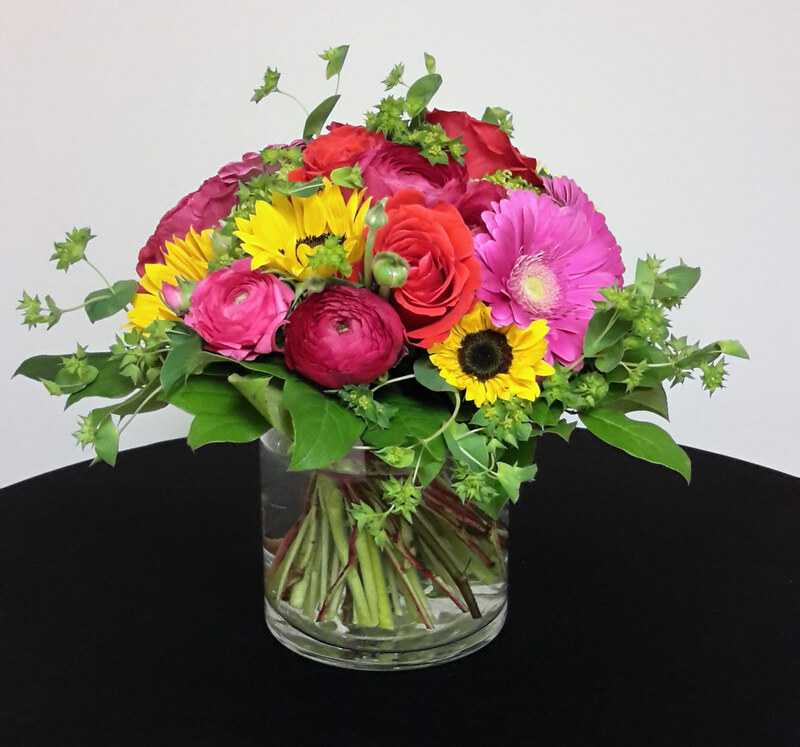 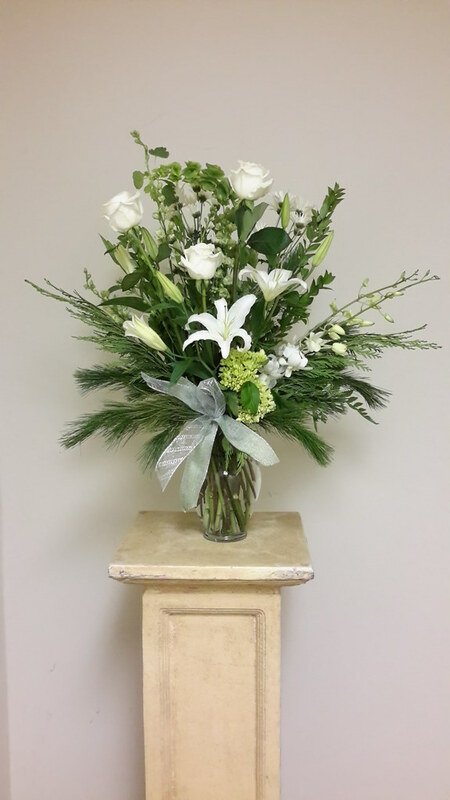 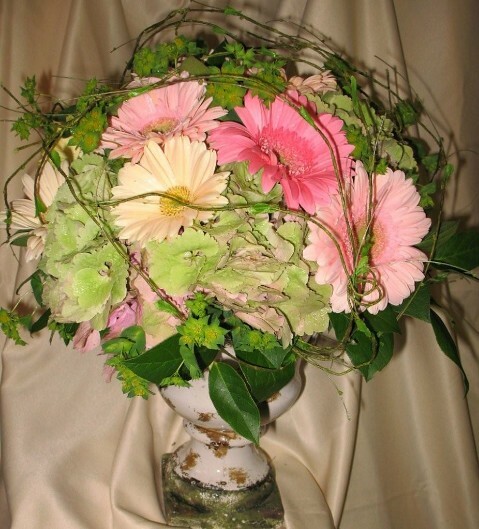 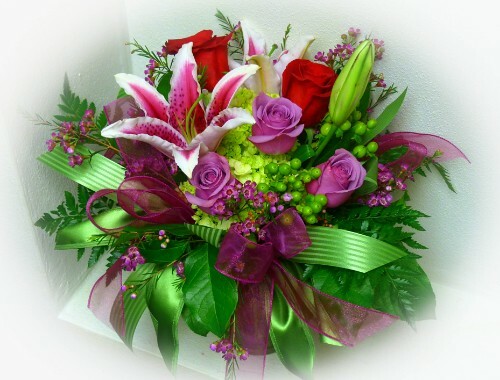 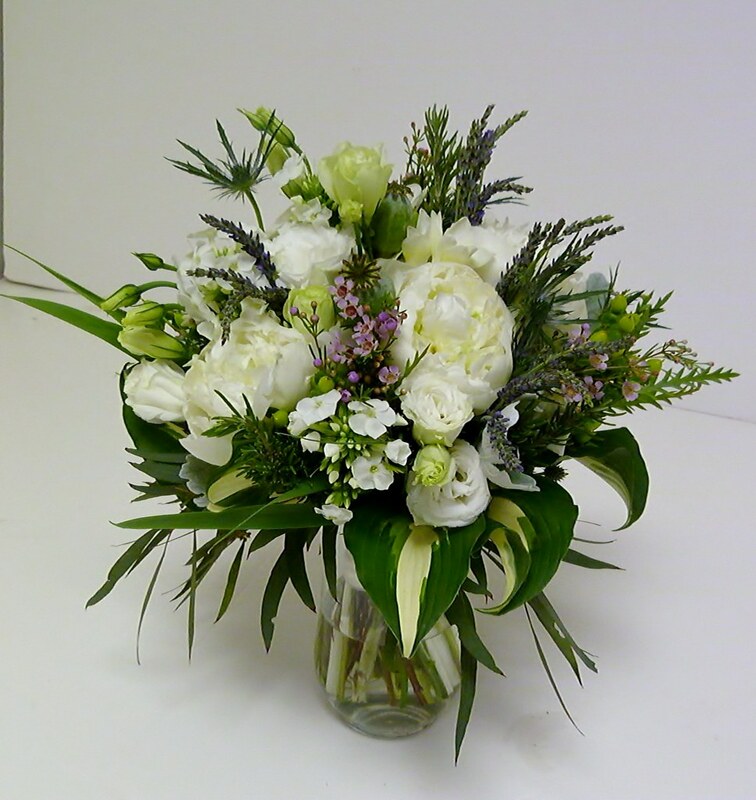 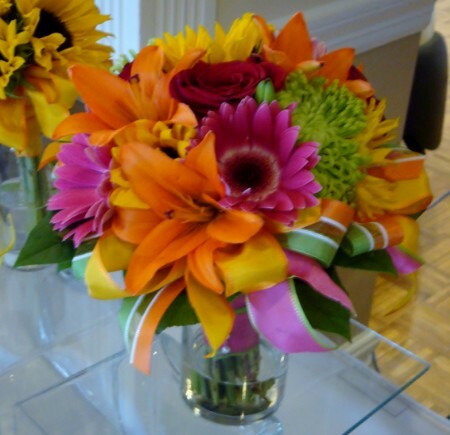 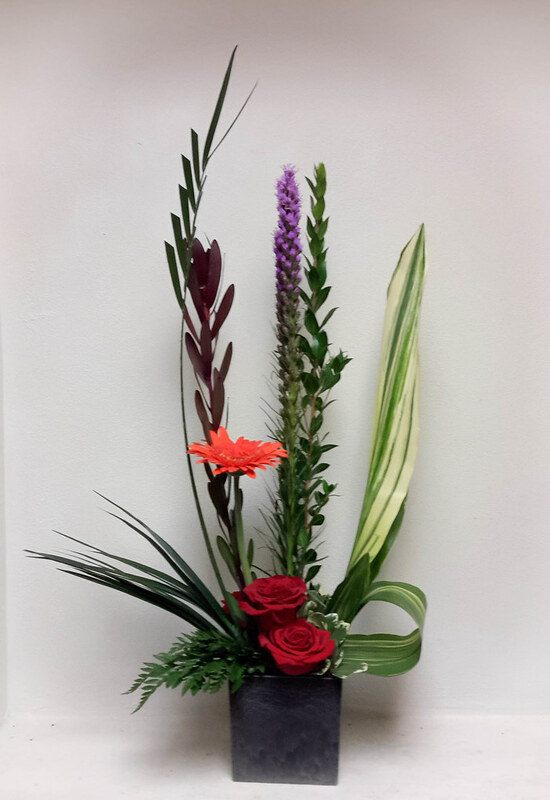 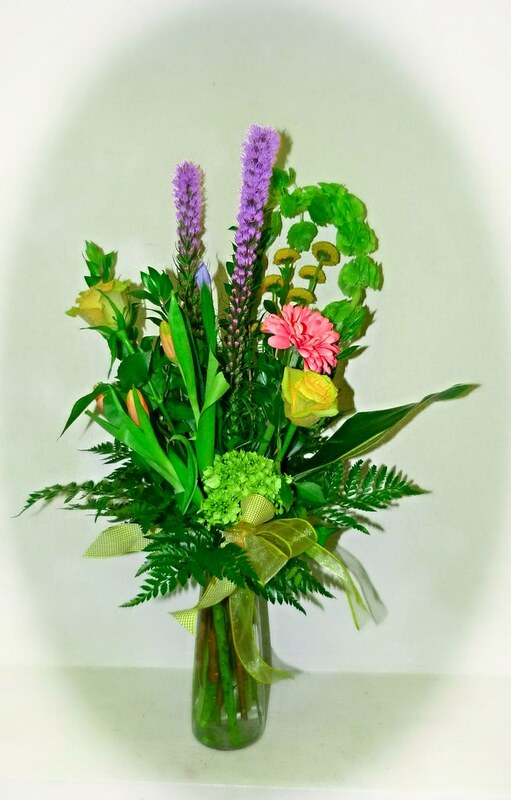 #25ED $50 Roses, gerbera daisy, liatris, sorbonne lily, bells of Ireland, and a variety of foliage make up this lovely cylinder vase arrangement. 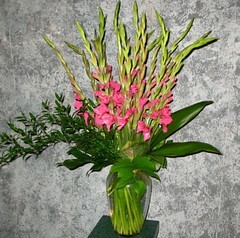 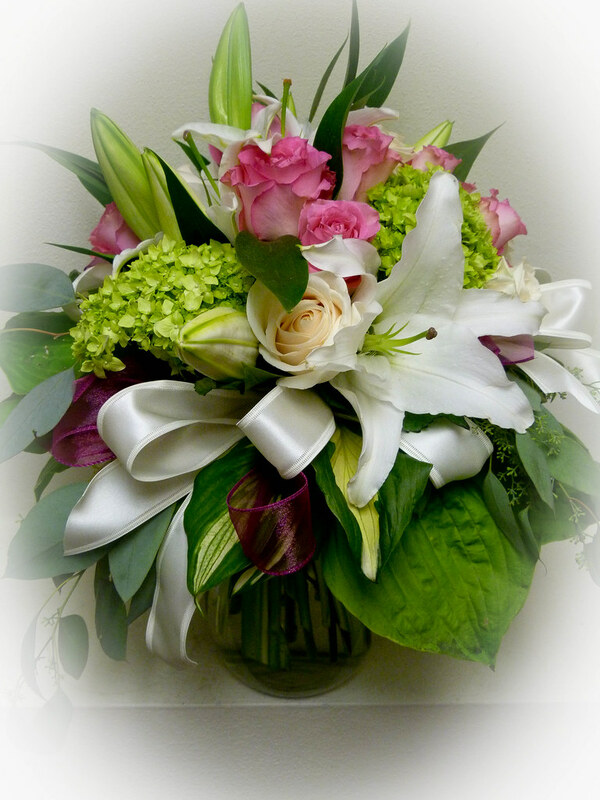 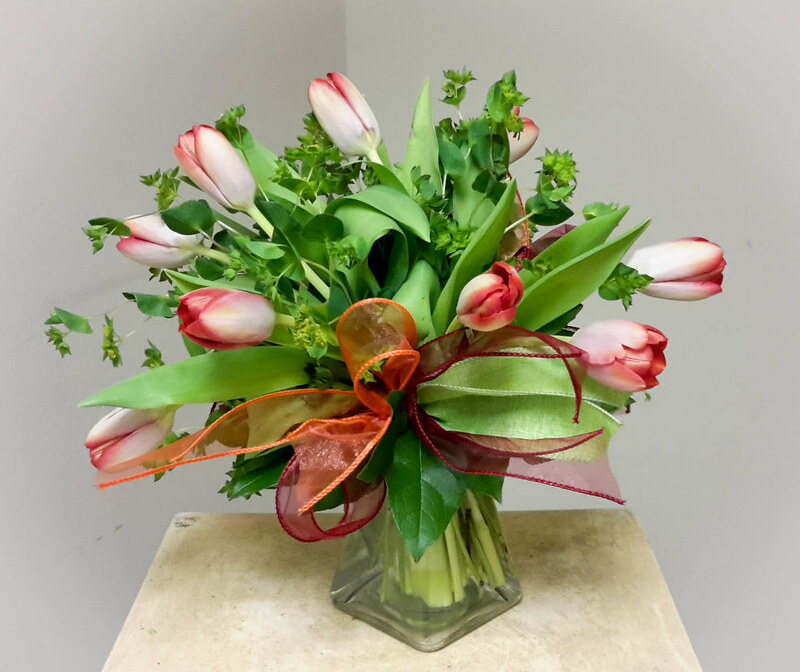 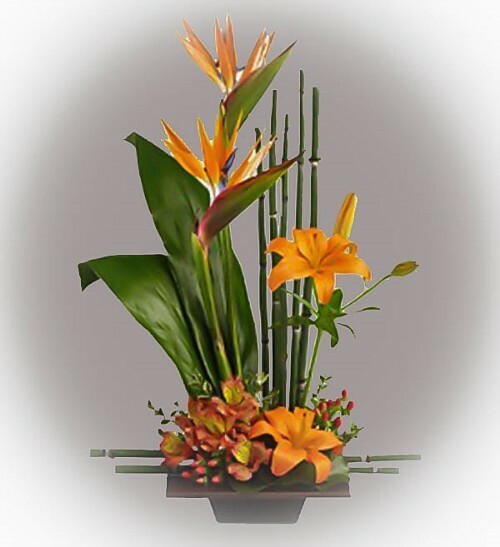 #55ED $125 Elegant Gladiola Bouquet based with Aspidistra, Italian Ruscus, and Fatsia foliage in an elegant glass vase. 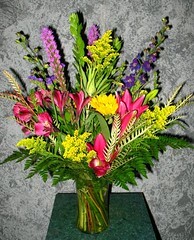 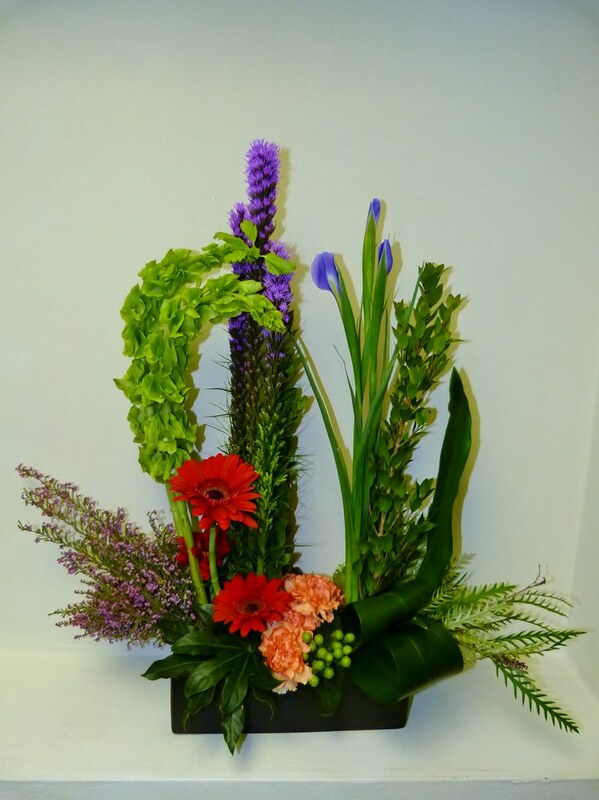 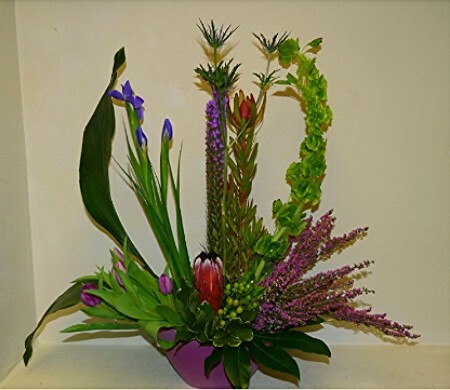 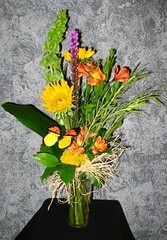 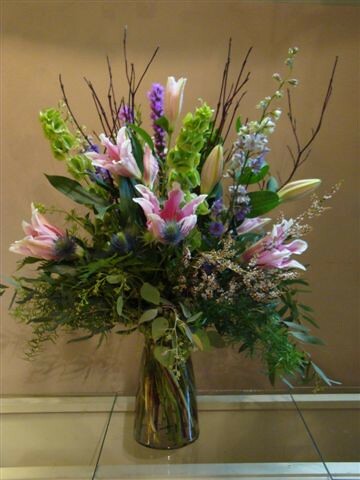 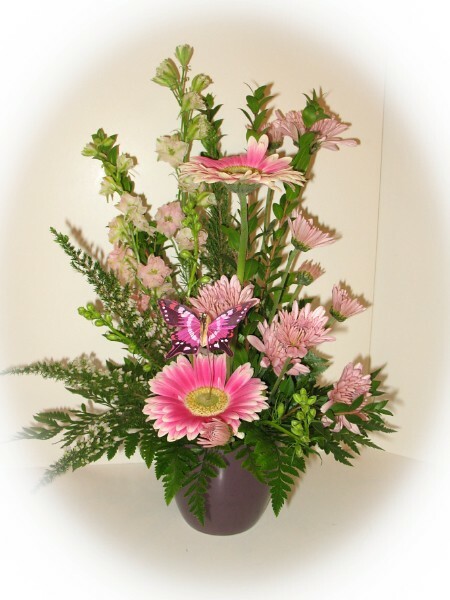 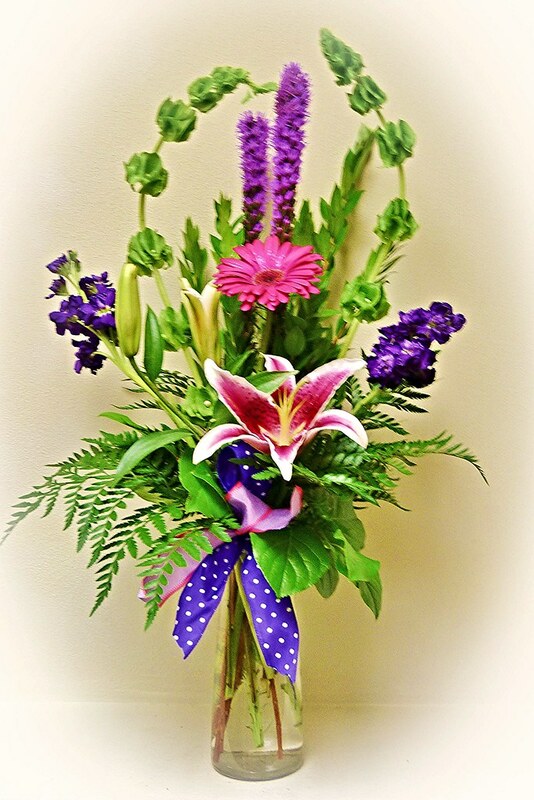 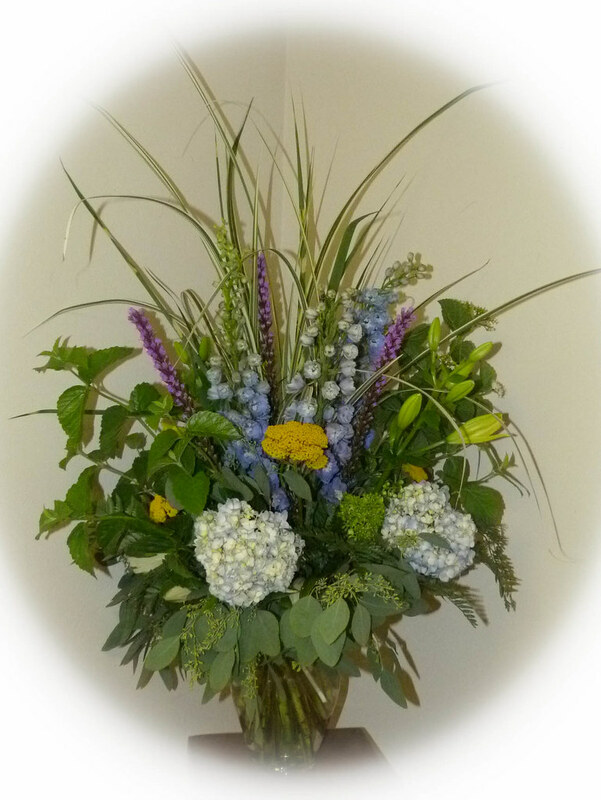 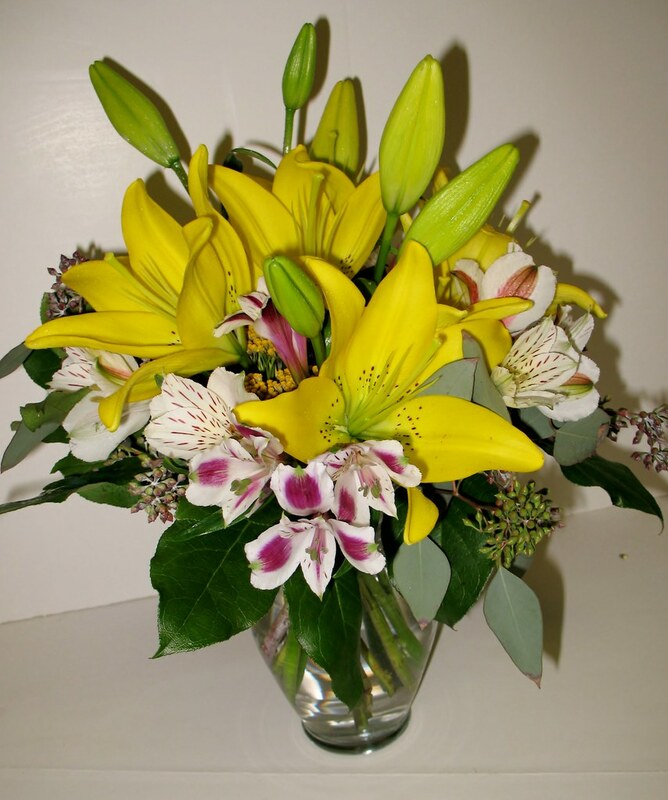 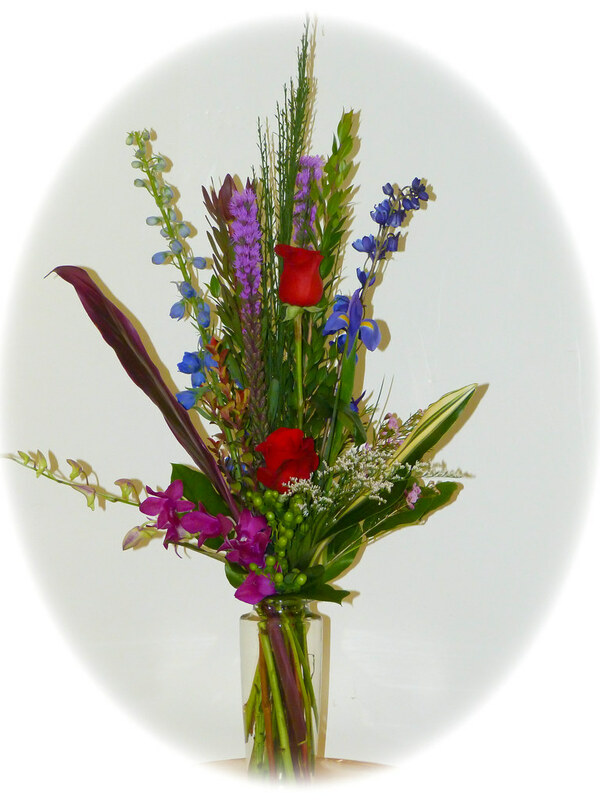 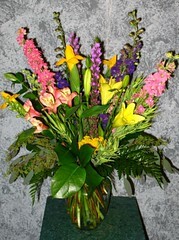 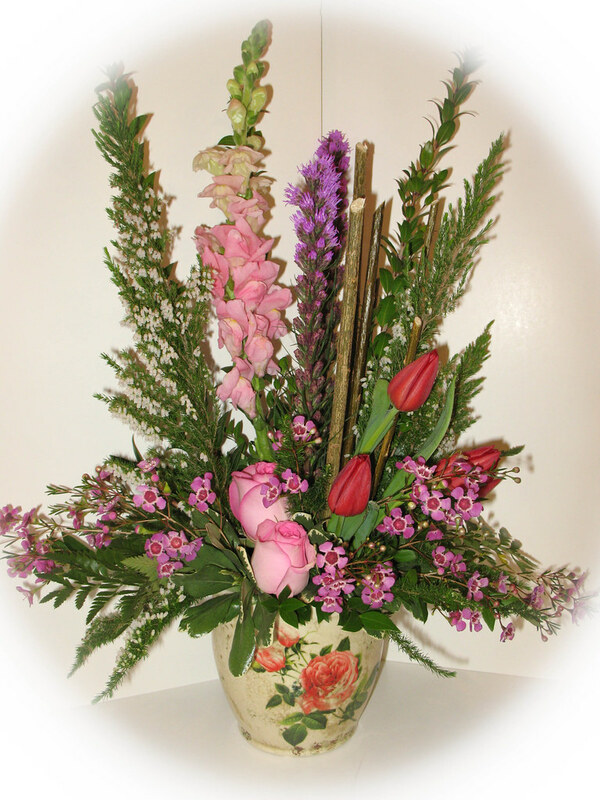 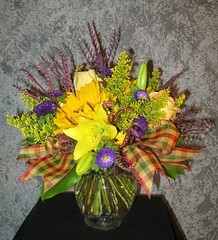 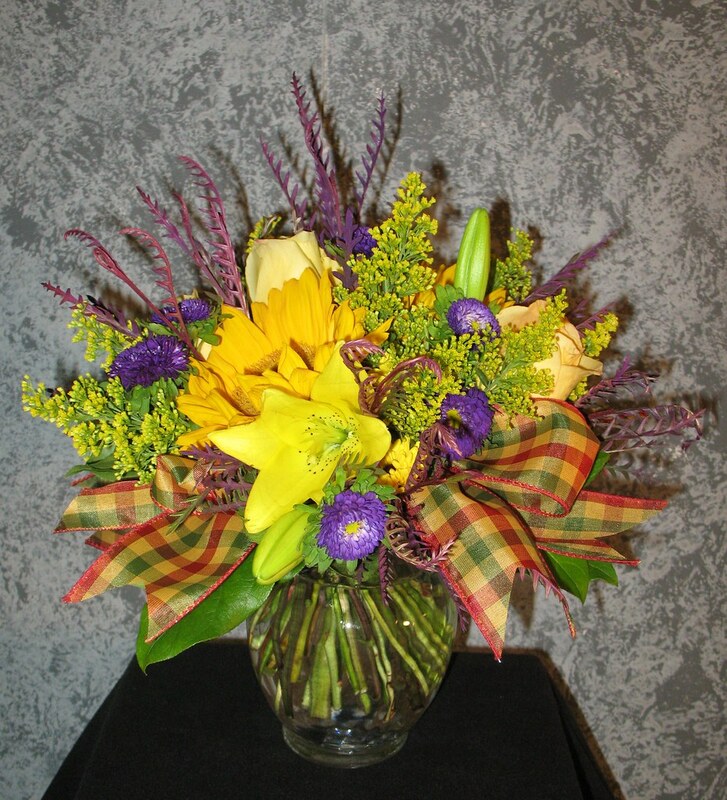 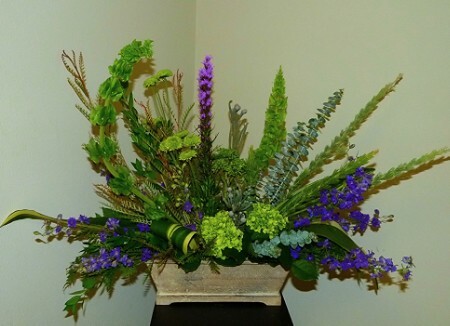 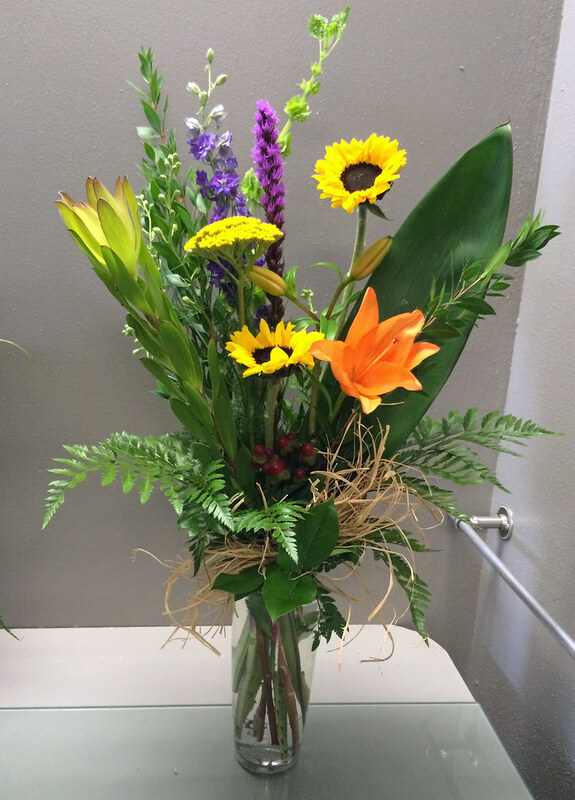 #35ED $85 Vase arrangement of alstroemeria and oriental lilies, yarrow, solidago, purple larkspur, liatris. and a variety of foliage. 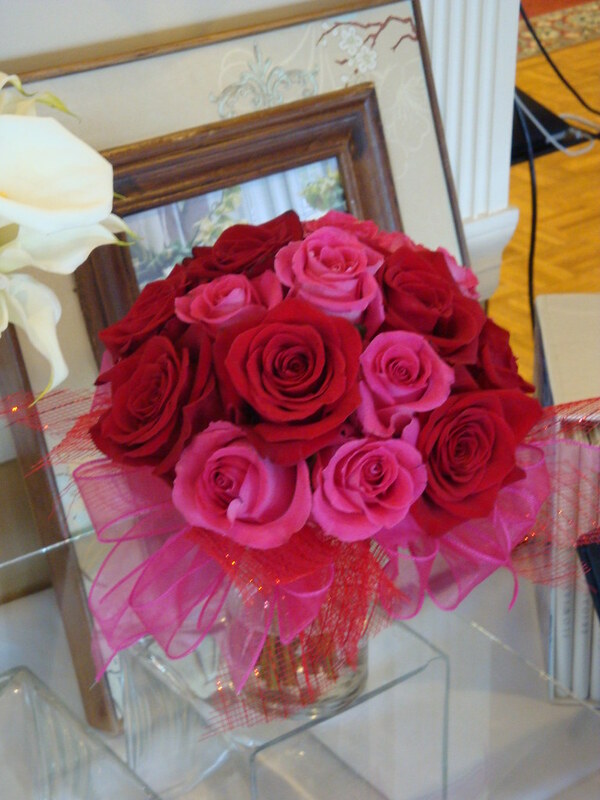 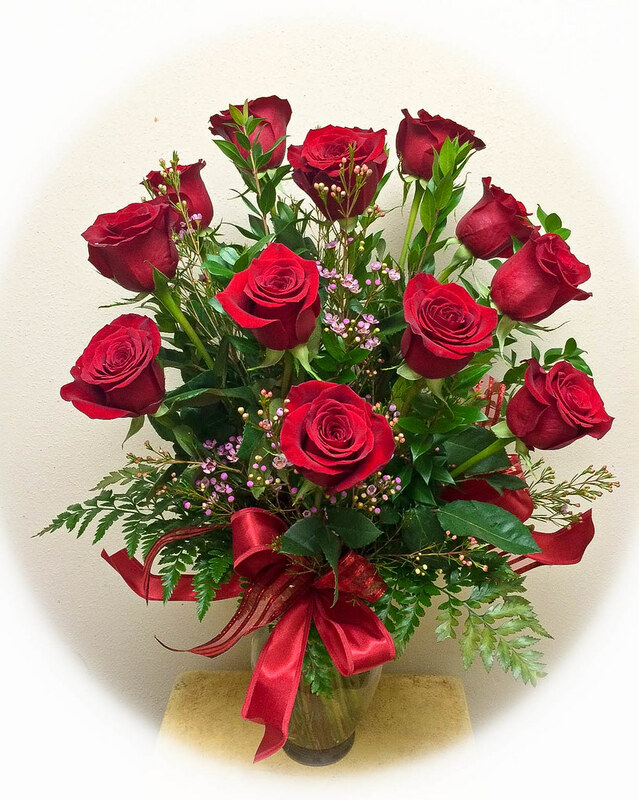 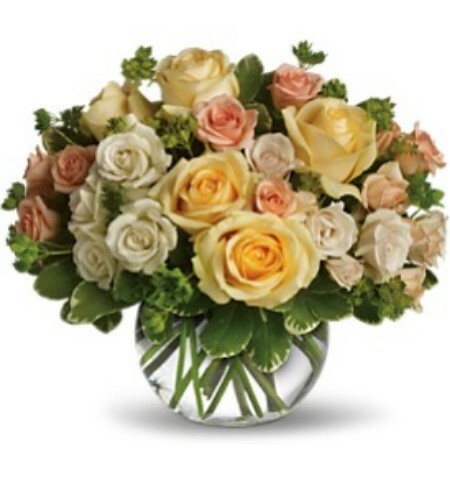 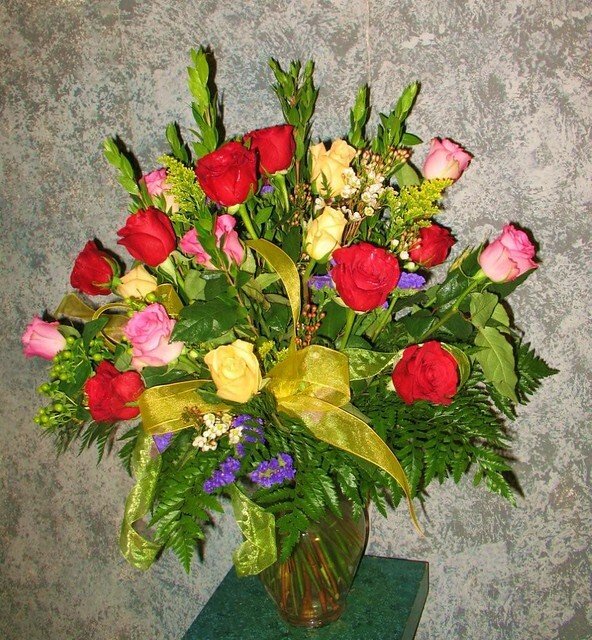 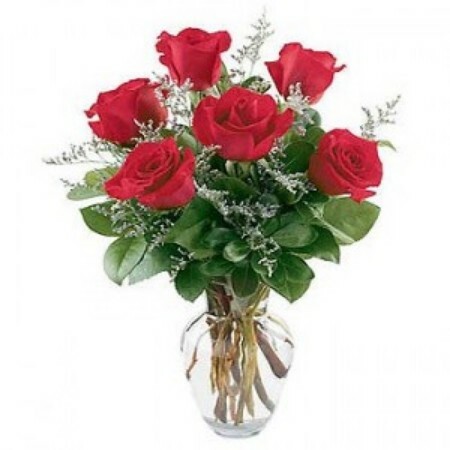 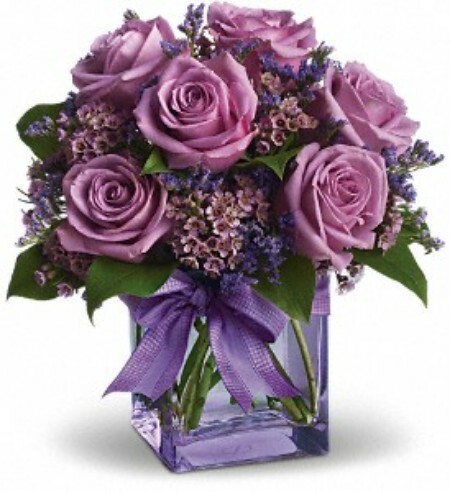 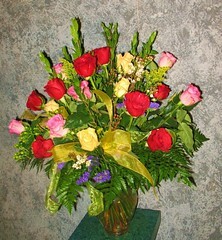 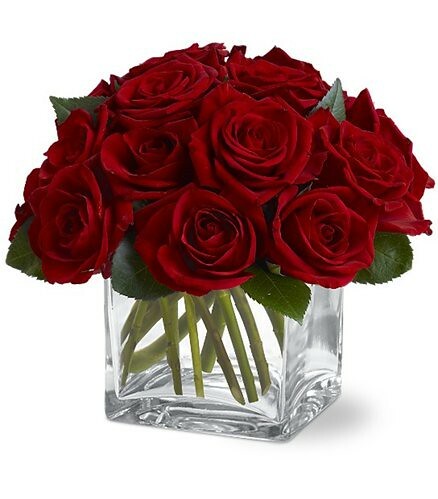 #09ED $115-18 roses(as shown) $135/24 roses designed with a variety of accent flowers and foliages to wow the recipient! #11ED $80 Fresh Vase Arrangement.